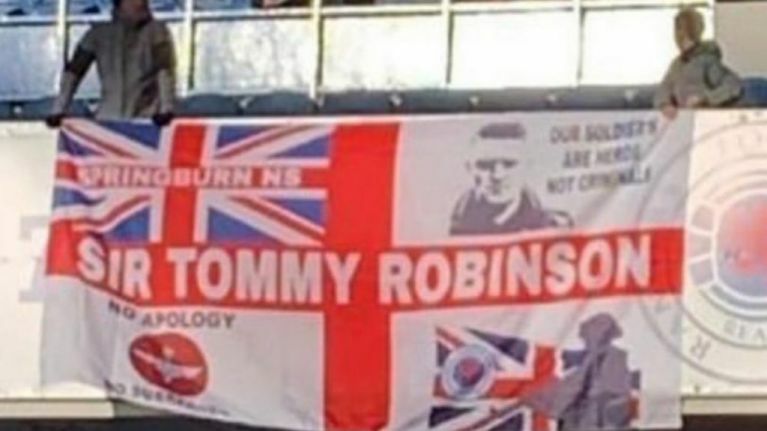 Stephen Christopher Yaxley-Lennon thanked those who unfurled the flag on his Instagram account. The administrators of a Twitter account called Football Lads & Lasses Against Fascism - the antidote to the right-wing 'Football Lads Alliance' - said "These eejits brought a Tommy Robinson banner to Ibrox on Sat. 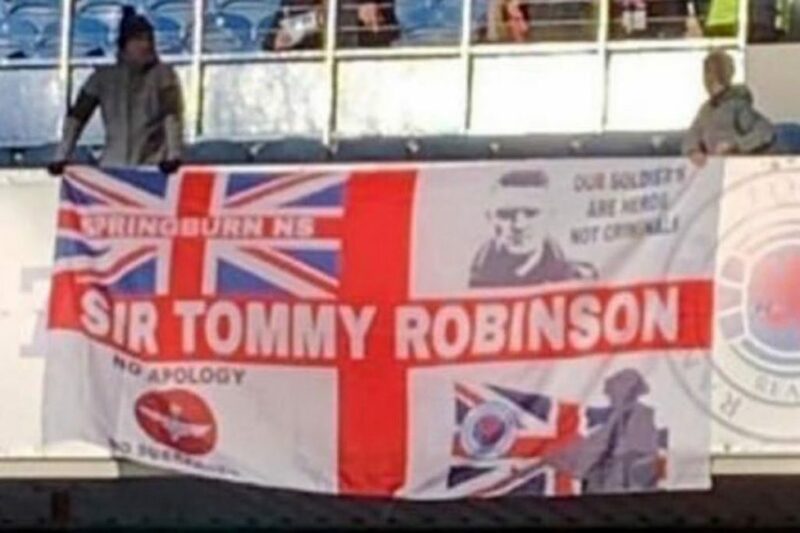 Rangers fans who oppose this s**t need to get a grip of it."